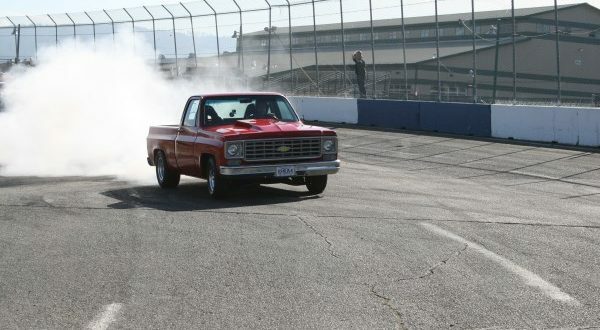 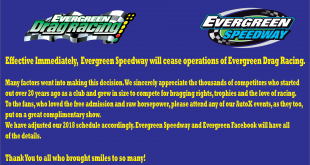 Evergreen Drag Racing runs a 520′ or 330′ drag strip located within Evergreen Speedway. 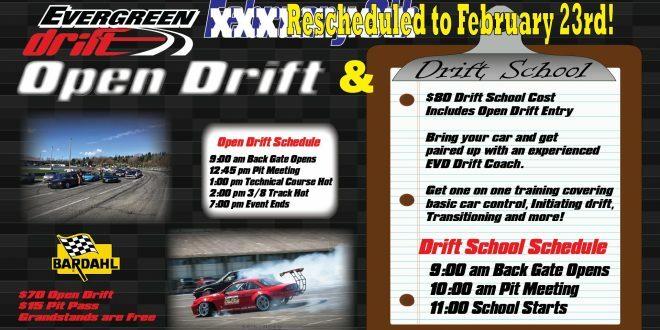 The track length will be released on the event pages when they are released. 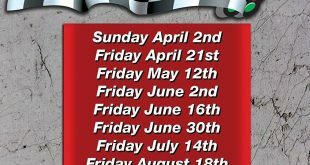 There are 12 to 14 events scheduled each year starting in April and concluding in October. 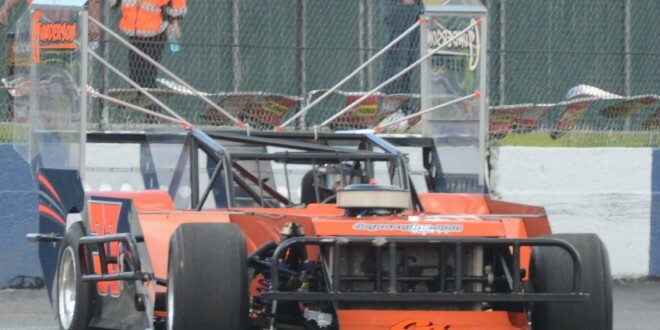 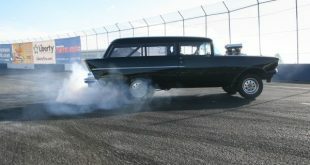 September 22nd Drag Racing Pictures! 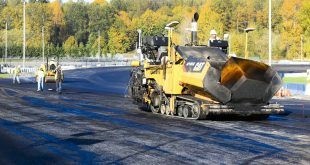 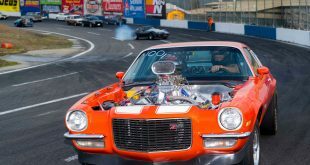 September 28, 2017	Drag Racing, News Comments Off on September 22nd Drag Racing Pictures! 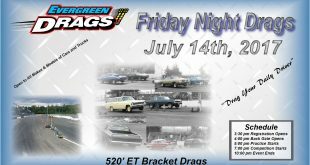 July 11, 2017	Drag Racing, News Comments Off on July 14th Friday Night Drags! 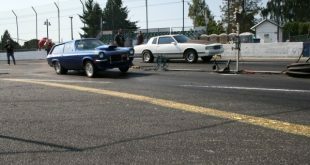 May 30, 2017	Drag Racing Comments Off on June 2nd 520′ Drags! 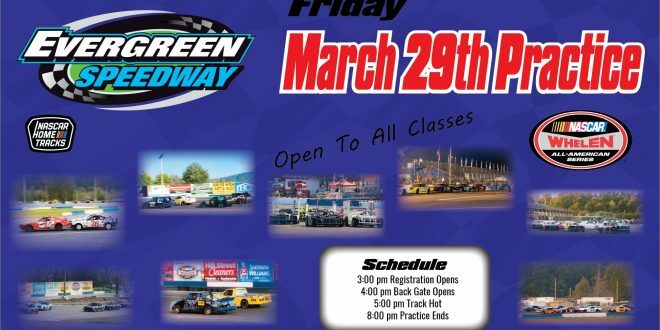 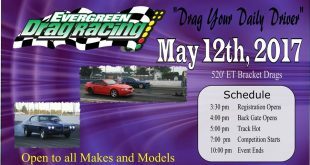 Evergreen Drag Racing- Friday May 12th, 2017! 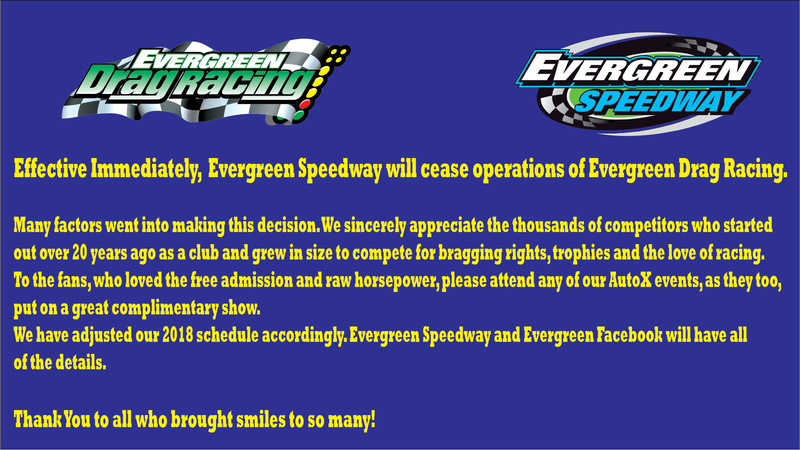 May 1, 2017	Drag Racing, Events, News Comments Off on Evergreen Drag Racing- Friday May 12th, 2017! 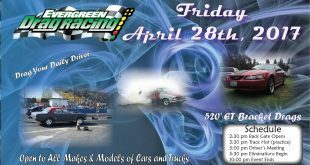 Evergreen Drag Racing April 28th, 2017! 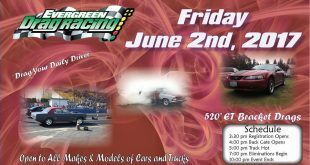 Follow us on Facebook for details of our next event! 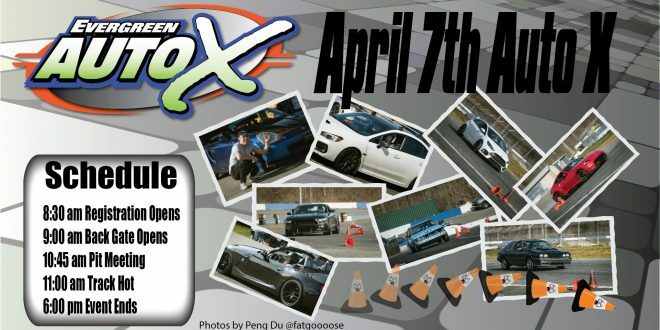 Find us on Facebook for details of our next event!